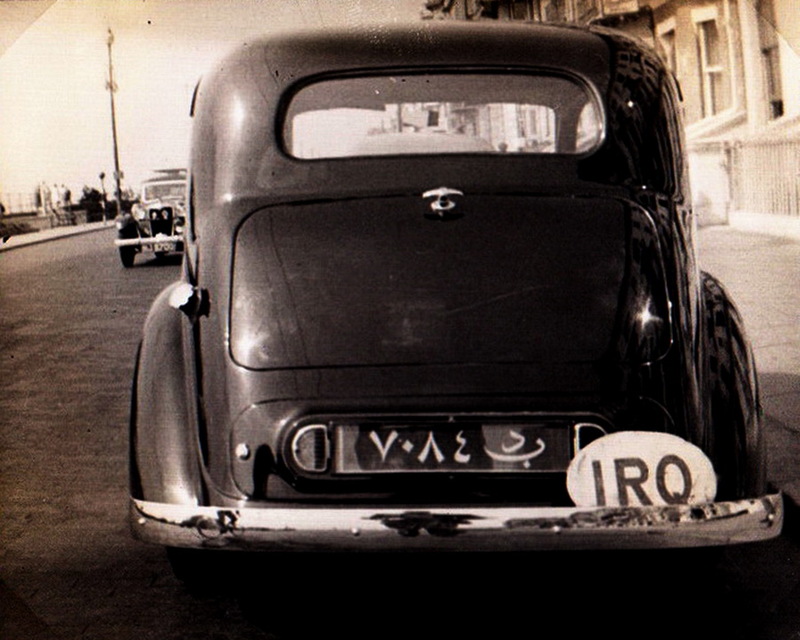 John Pemberton found a few sandhoppers in London in the 1940s, one of the most interesting of which was this 1948 Morris Oxford registered in Israel, a country which had only just started registering its own vehicles after the British Mandated presence there came to an end in 1948. KK 1420. Iraqi Hillman MInx from Kirkuk oilfields area. Seen in Britain early 50s. Pemberton archive. 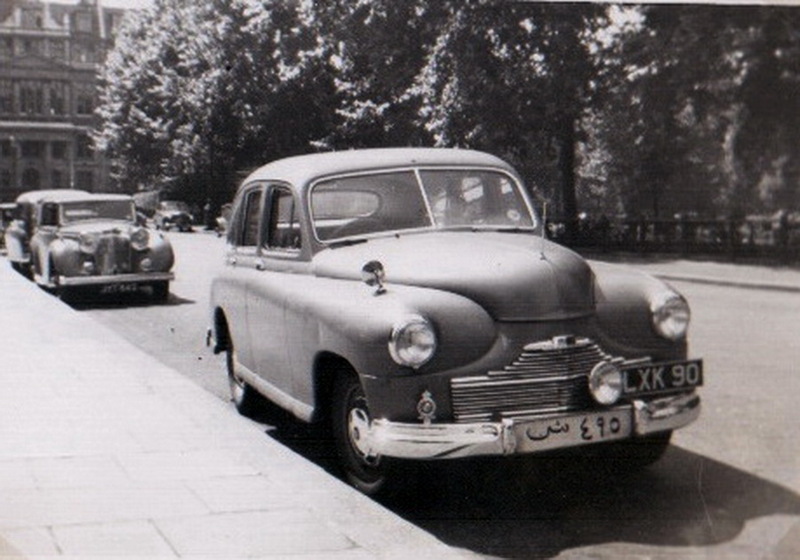 Below: Re-imported to London in December 1950 from Bahrain, this 1947 Vanguard LXK 90 was allocated a registration from the London batches of 10 to 99, which were retained for the re-registration of used imports. 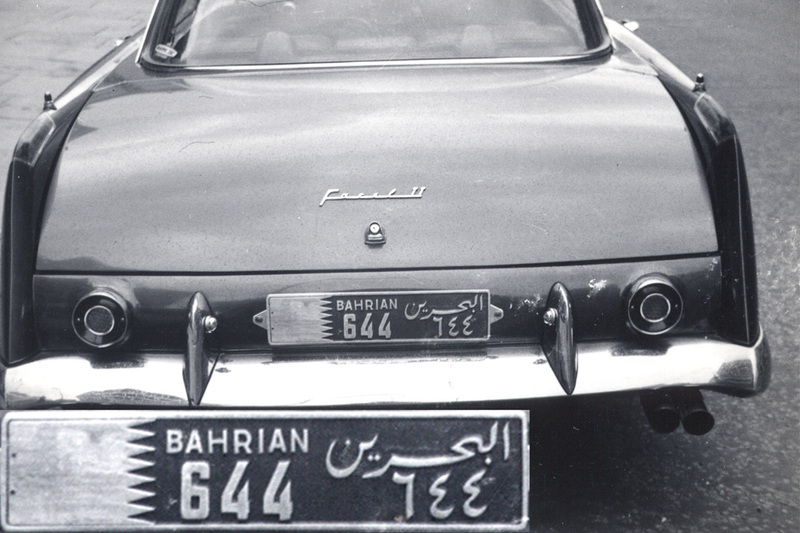 Unusually, this owner chose not to dismount his original Bahrein 495 numberplate – strictly not legal, but its suits us! 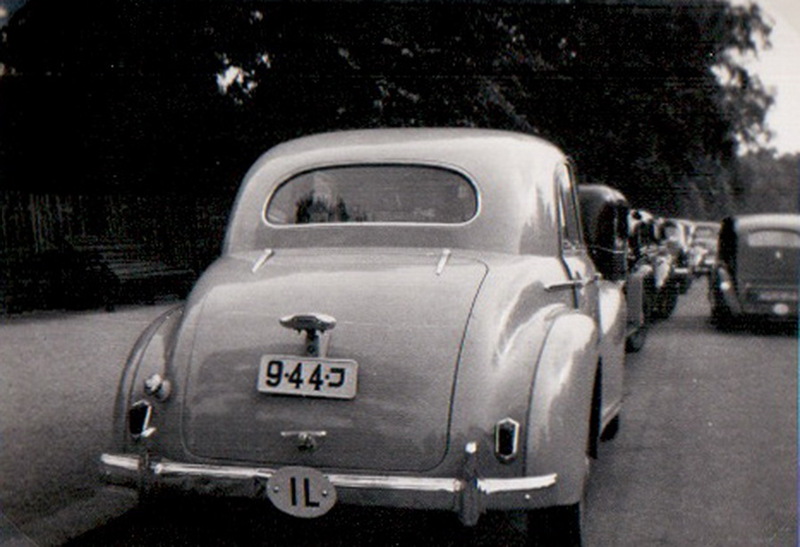 495 — Standard Vanguard Phase 1, model built 1947-53. 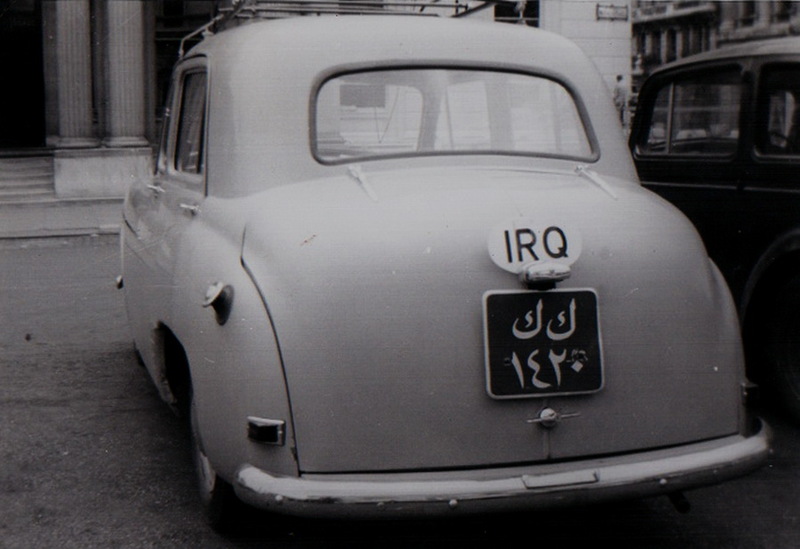 This one had served in Bahrain and returned to Britain in 1950 to carry LXK 90 plates. Pemberton archive. 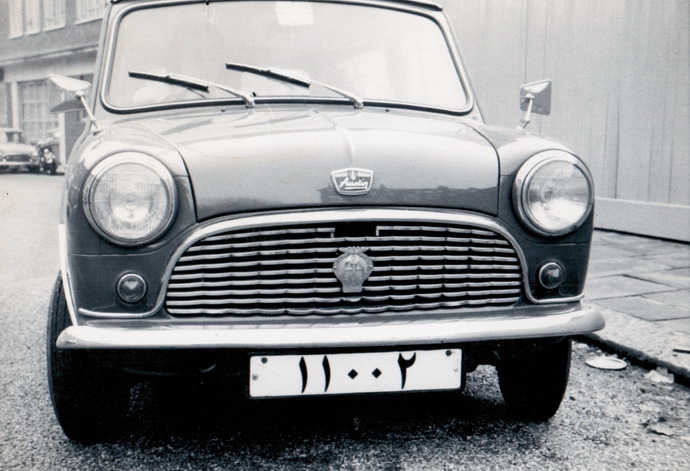 Below; About 13 years later, a Bahrain Mini was parked for a photo-opportunity. 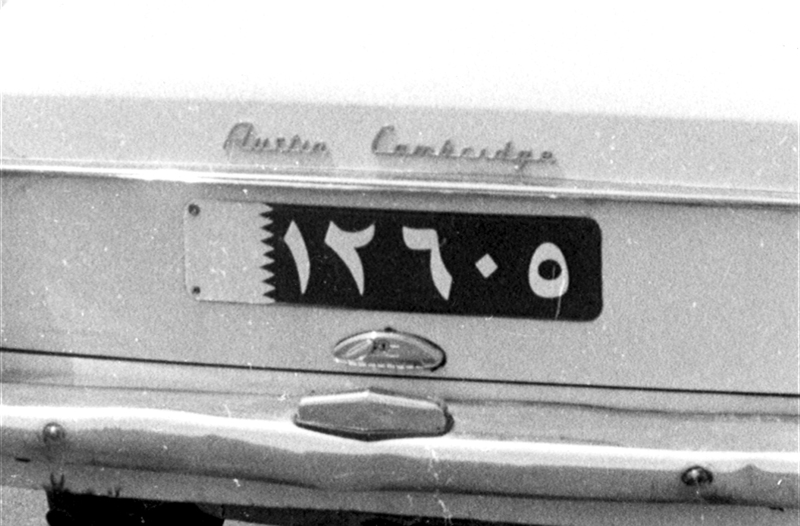 A circa 1960 Austin A55 Cambridge 12405, with the serrated red and white plates of the Bahrain ‘royal household’ members. Brumby archive.